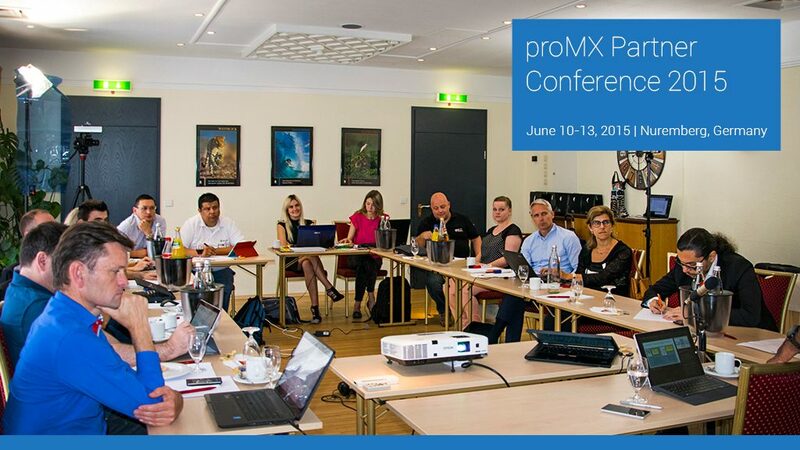 proMX Partner Conference 2015 took place from June 10-13 in Nuremberg, the company’s home city. Representatives of such companies as Axentit Business Consulting S.A. de C.V. (Mexico), Bizdirect (Portugal), Company Net Ltd (UK), OnDemand4U GmbH (Germany), and Trivadis AG (Switzerland) were among the conference participants. Moreover, Guus Krabbenborg, Co-owner of Quattro Business Solutions B.V. (Netherlands), Adil Boushib, Microsoft Partner Technology Advisor (Germany), and Software Sales Coach Thorsten Bahr (Germany) attended the conference as special guests. Key topics of the conference were marketing approaches, the team uses for company and product promotion, sales strategies and tools, implementation of the new universal pricing system, and the best ways of representing products to the customer. 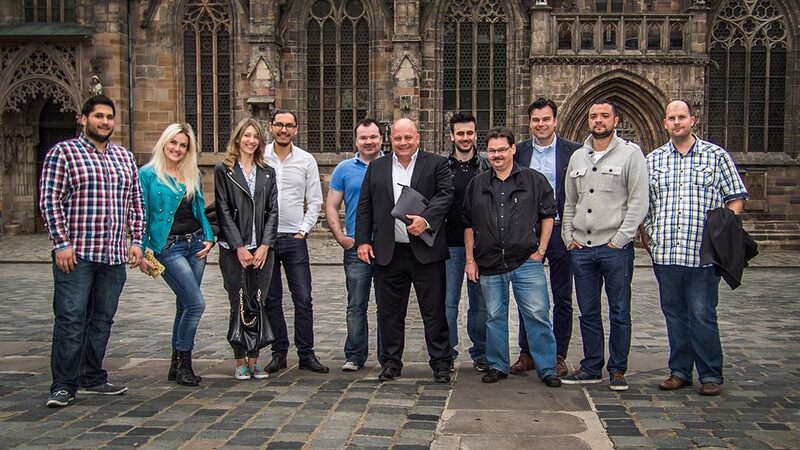 Also discussed were the new proRM Business Solutions release and its migration from Silverlight to HTML 5. Peter Linke, CEO of proMX GmbH, focused his report on the growing popularity of Cloud Technologies and the Repeatable Business concept. The speeches of Guus Krabbenborg and Thorsten Bahr rounded out the conference program. The former developed the topic of Repeatable Business further; Mr. Bahr drew attention to the proper selection and recruitment of sales departments’ personnel. After listening to informative reports and participating in the discussions that followed, the attendees had a great wish to relax a little bit and enjoy the first summer days in one of the most beautiful cities of Bavaria. Our Partners became our true friends. Being a hospitable conference host, proMX GmbH prepared a special off-topic program, which included different interesting events. Anyone who has visited Nuremberg knows how proud the citizens are of their city and its history. Of course, three days is not enough to visit all of the numerous noteworthy places in Nuremberg. However, in spite of the short time and tight schedule, we tried to make our guests’ stay eventful and unforgettable. Every evening, we took a walk through the iconic historical center of Nuremberg. Main Market, Church of Our Lady, Beautiful Fountain, Old Town Hall, St. Lawrence Church, Albrecht Dürer’s House, and Albrecht Dürer’s grave on the St. John’s Cemetery – any of these sights confirms it – you are in Nuremberg. 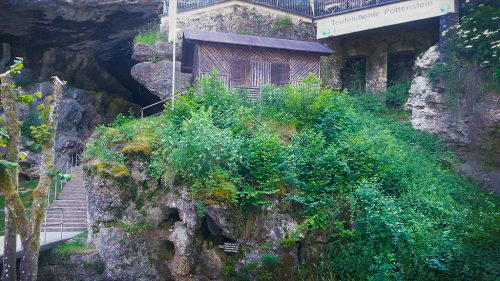 Tired and full of emotions, we closed the days in traditional Franconian restaurants. Furthermore, proMX arranged an exceptional tour via a 50-year-old tram. This experience offered the opportunity to not only observe historical and modern sights, but also visit the historical railway depot at St. Peter. This excursion allowed us to experience the unique atmosphere of the old Nuremberg. 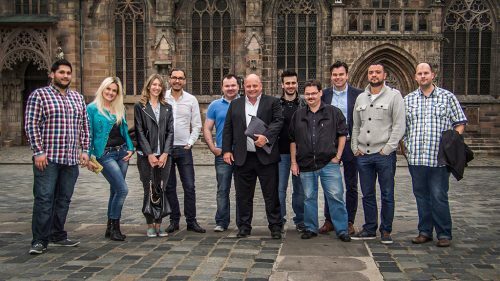 On the last conference day, together with our friends, we made an exciting trip to Franconian Switzerland. We walked in the caves, enjoyed the mountain landscape, and breathed fresh air. It was a really wonderful conclusion for the conference. It was a great pleasure and honor to introduce our native city, inclusive of its traditions and culture, to our international friends. Unfortunately, the time passed very quickly. However, we still have much to tell, to show, and to discuss. The entire proMX-Team would like to sincerely thank all of our partners and guests for their reliable partnership and yearlong cooperation. Together we are stronger and more successful. For more detailed information about key topics and speakers of the conference please read our press release. The Microsoft Worldwide Partner Conference 2015 is definitely the most exciting Microsoft event of this summer. Of course, on the proMX calendar July 12-16 is marked in red. One Week Before the Microsoft WPC 2015: Full Speed Ahead! 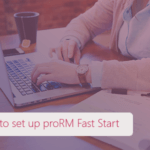 Configuring proRM Fast Start for project management in Microsoft Dynamics 365 is simple. Learn which steps you need to take to get the app up and running. 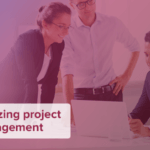 There are many different options to manage projects in Microsoft Dynamics 365. Which solution is right for your business? We give you our recommendations. Name* * Please fill in your name. E-Mail* * Please fill in your e-mail address. From now on, you will receive our news via e-mail.